A monster pack from the ultimate quest – now bigger than ever! More Beasts! More magic! More deadly danger! How on earth will brave Tom stay alive? This snarling super-size pack has every single book from the first five series: no less than thirty terrifying Beasts for Tom to fight. It’s unbelievable value from the ultimate fantasy quest! 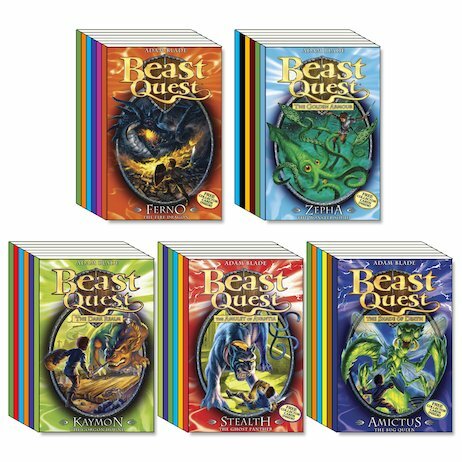 Beast Quest books have lots of adventure there are even top trump cards to collect. Beast Quest is ideal for something to do in your spear time. I hope you like my review and I hope you like Beast Quest Books.